An elegant decor that is so versatile and easy to set up that you can use it anywhere to enhance your decorating style. An indoor fountain is a great way to add a calming accent to your decor. 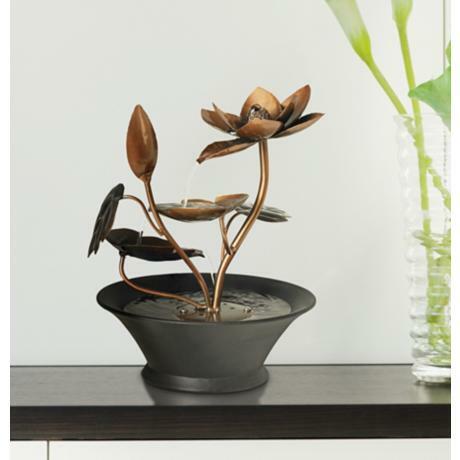 This design features metal begonia leaves and flowers that capture the peaceful water as it cascades into the dark finish bowl basin below. • Resin and metal construction.